The eagerly-awaited successor to their 2WQ subwoofer (which was first unveiled in 1984) is the new SUB THREE, selling for $2490. 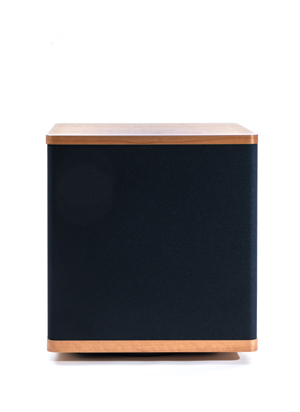 The SUB Three incorporates all of the advanced features of the 2WQ but improves upon many of them and adds 11-band bass equalization for smoother bass response in any room. This latest subwoofer builds on the years of technology featured in the 2WQ but with increased performance with a power-factor-correct switch mode power supply that feeds a more powerful 325-watt internal amplifier and an upgrade from stamped-steel to cast-aluminum baskets for the three 8-inch drivers. For the first time at this price, the SUB THREE also incorporates one of Vandersteen's most innovative technologies, 11-band room Equalization for much smoother bass in virtually any room. This technology originated with their Model 5 and today is employed in all of their reference-level models. This feature allows the user to place the subwoofer where it will sound best in the room and then to correct for the inevitable bass peaks and dips which are present in any listening room. The result is a powerful yet clear and clean bass which is not a compromise between best placement and flattest response. The SUB THREE subwoofer is compatible with a wide range of main speakers from Vandersteen as well as other manufactures. Large main speakers with accurate frequency and phase response extending at least an octave below the crossover point will provide optimum blending and linearity through the crossover region while Smaller, limited-bass main speakers will benefit from the SUB THREE's superior pitch definition and lack of midrange interference providing better integration and system coherence than is possible with a conventional subwoofer.